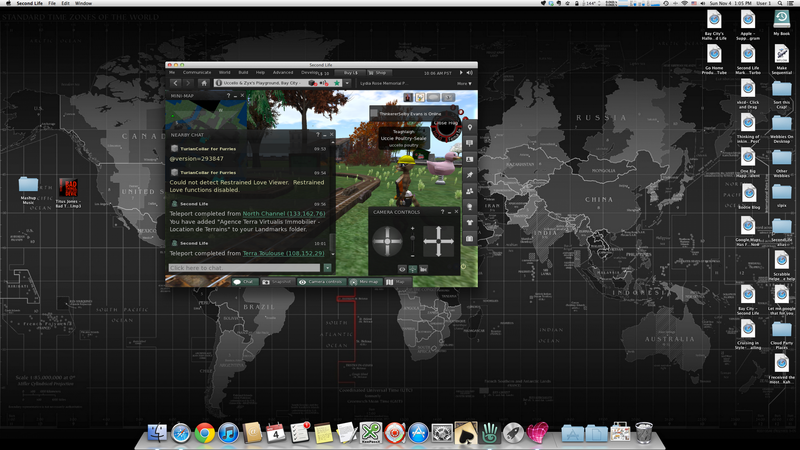 Did you notice that the default Second Life window size is a mere 1000 pixels by 700 pixels? On my 2560 x 1440 default screen size, that puts the "eeny" in Teeny. I often run with the window maximized but if I jump down to 1920 x 1080 I can easily watch a movie or other video in a small window to the side. Its a shame the windows and panels inside the viewer are a nuisance to resize. Second Life has other limits, too, and you can find them on the Limits Wiki here. I often refer to the Textures section for projects. Take some of these with a grain of salt, though. I have a couple friends that send along in-world snaps that are nominally 512 x 512, a 1:1 ratio, but display better as a 4:3 ratio. Strange, I know, but this is Second Life. Also, images formatted for Profile pictures have different aspect ratio requirements depending on the Viewer that you use. Experiment, experiment, experiment. The Lab also puts limits on what it stuffs into the Library folder of your default Inventory. In June 2010 it was some 1,248 items. By measuring a count before and after hiding that folder, I was able to determine that number is now 2,210 items (I added this info to the Wiki today). * Backup copies of current Inventory and saved items are in boxes in my Objects (Storage) folder plus I have Alts with specific Inventories, such as my gardner pixy that holds a good number of my landscaping items so the real number is much higher. If you don't have enough stuff in your Inventory, drop by The Bazaar and grab stuff, like this box of stuff The Lab purged from the basic Library folder as being "old" (SLurl).